On Monday I went over the 3 different Macronutrients: Carbs, Proteins, and Fats. Today, I’m hoping this post will clear up any confusion over the basics of Micronutrients. Unlike macros that are needed in large amounts, micronutrients are only necessary in small amounts. They are the Vitamins and Minerals. Sodium is used for fluid balance and blood pH regulation in the body. Manganese is required for Bone formation, to metabolize macronutrients, and energy production. Magnesium is needed for heart rhythm, glucose conversion to energy, and is needed to metabolize calcium and vitamin C. Iron is needed to produce lymphocytes and red blood cells. Chloride is needed to regulate water, electrolytes, and cell pH. Though there are many more micro nutrients, I decided to name only a few to help you understand that though they are required in small amounts they are incredibly necessary for your body’s everyday processes. Being deficient in Micronutrients, is usually due to a poor and unbalanced diet, and it incredibly dangerous. Being deficient in iodine for example, is the lading cause of brain damage, still births, and miscarriages. Vitamin A deficiency can cause blindness in kids as well as night time blindness in women pregnant. Iron deficiency anemia is the most common of micronutrient deficiencies and occurs when your body is not producing enough red blood cells. 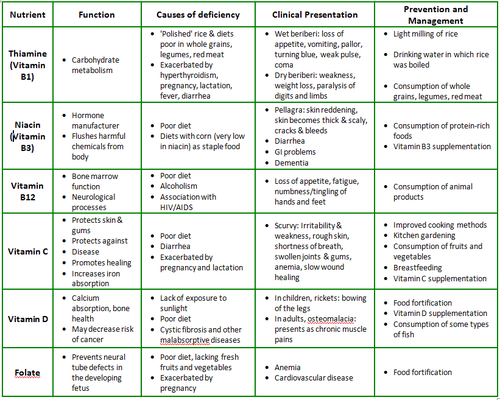 Unless you have a documented deficiency however, you shouldn’t worry about any side effects from being micronutrient deficient.